CP 27 is a premium grade painter's tape for interior and exterior use on multiple surfaces. Removes cleanly up to 14 days! 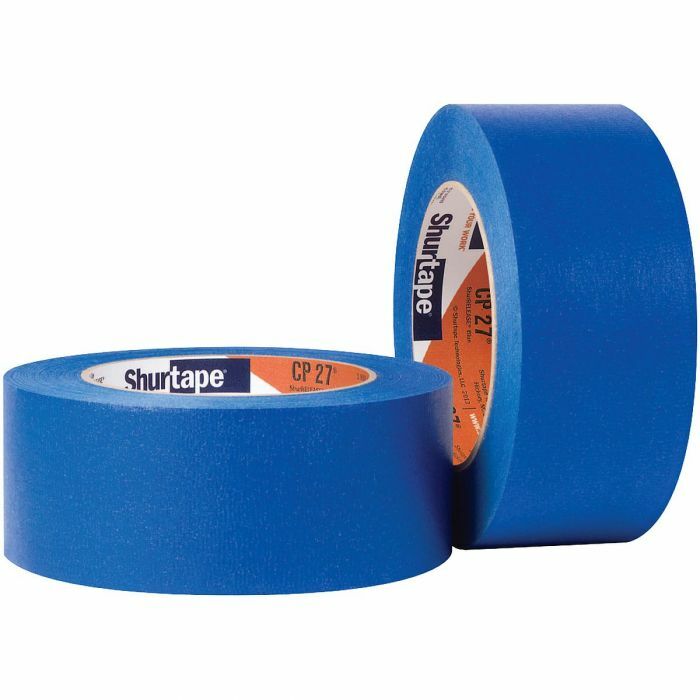 Shurtape's CP 27 is a premium grade blue painter's tape for interior and exterior masking of multiple surfaces. It's superior construction allows for easy, no-residue removal, making it the perfect choice for masking painted walls, glass, vinyl, metal and wood. CP 27 is formulated with a synthetic rubber-based adhesive that prevents lifting and paint seepage, and allows for clean removal for up to 14 days. Use on painted walls, glass, vinyl, metal, wood, etc.